Stanford Assistant Professor, Krish Seetah, and researchers from Reading University studied the archaeology of the Baltic region—a region that includes modern Poland, Lithuania, Latvia, Estonia, Belarus and parts of Sweden and Russia—in the years from the 12th century to the 16th century, when the Teutonic Order, a Germanic brotherhood of Christian knights, waged war against the last indigenous Pagan societies in Europe. Pagan groups did it differently from the Germanic Teutonic Order. The team found evidence that the Baltic Pagans ate dogs, but they abruptly stopped doing so after the Teutonic invasion, one assumes because the western European Christian knights had no taste for dogs as food, and imposed their will on the natives. 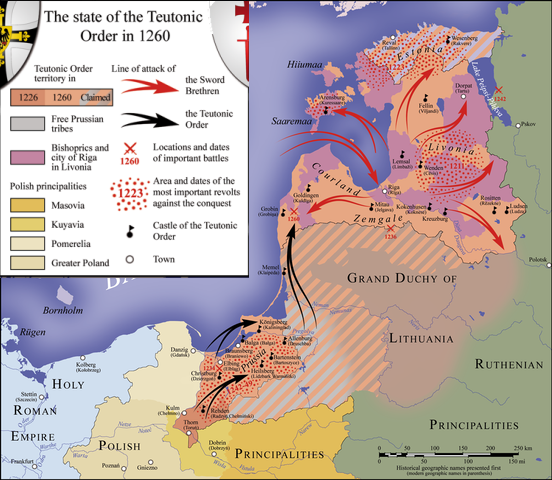 The Teutonic Order owed much of its success in conquest to their horses, whose strength and stature allowed them to bear armor and weaponry, unlike the Pagans’ smaller horses. 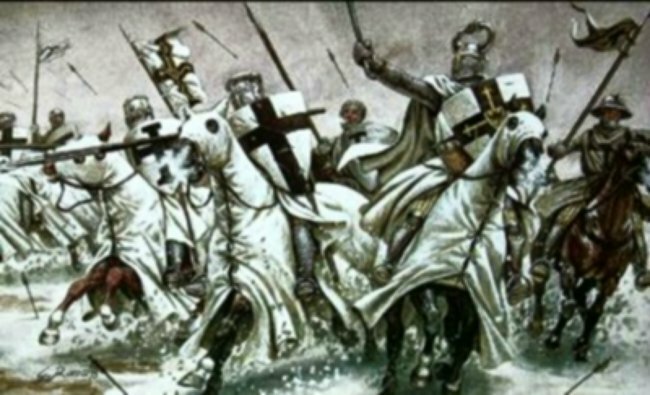 In the Southern Crusades in the Middle East, it was the Arabian horse, stronger and swifter than the European breed, that led ultimately to the Islamic crusaders’ victory. Increased reliance on local animals for supplies inevitably led to the extinction of some species, including the aurochs, an ancestor of modern cattle. The relatively rapid disappearance of species marks a dramatic shift in how the indigenous Baltic culture perceived the natural world. A belief in the interconnectedness of the land’s flora and fauna gave way to the more exploitative, Christian view of nature. The research team compared Teutonic castles—massive forts whose construction required the clearing of vast expanses of forest—to the less intrusive, more organic pagan settlements. Medieval castles formed the backbone of the new Christian states because they were for the security of the class that had conquered in the period of tribal movement around Europe that lasted a millennium from the fall of the western Roman empire. Today they appear as crumbling, moss-grown relics resembling modern urban centers which flourish then fall into dereliction, as an inspection of many of our inner cities will show. « Why are Christians so Ignorant of when Human Life Begins?